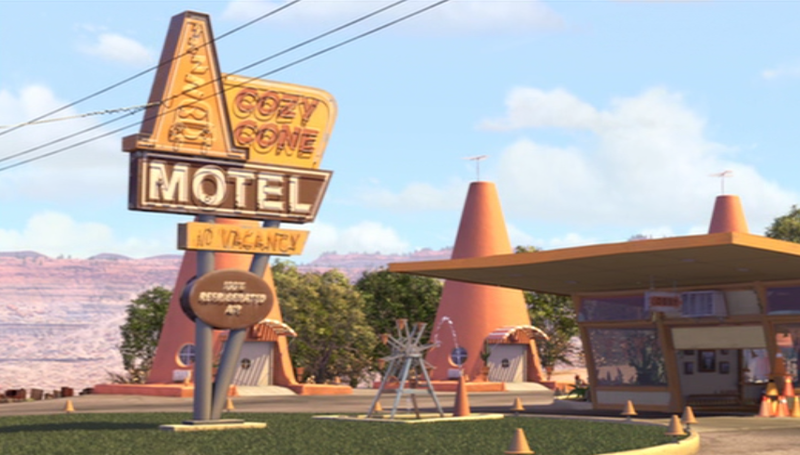 Anyone who has seen the Pixar movie, “Cars” will recall the Cozy Cone Motel. As with much of that animated movie, a real motel looks surprisingly like the place that McQueen the racecar spent the night. At the Cozy Cone Motel, the individual rooms resembled giant orange traffic cones. At Wigwam Village, also known as the Wigwam Motel in Holbrook, Arizona, the individual rooms resemble giant Indian teepees. With a 2009 population of just over 5,000, the City of Holbrook grew by over three percent in the past decade. Among its claims to fame are the only regulation golf course along Interstate I-40 between Flagstaff, Arizona and Gallup, New Mexico. A stretch of Old Route 66 makes up its business district, while I-40 skirts the town to the north. I found Holbrook a pleasant place to spend a Saturday afternoon. After shopping for groceries and talking to locals at the Safeway, I drove across the street to check out the Wigwam Motel. Not wanting to intrude on their business, I approached the old main office, only to find that it was deserted. While researching the place, I discovered that most days, the motel opens for business around 4:00 PM. Even when unoccupied by physical human beings, the place feels like the spirits of ancient travelers still inhabit the grounds. In front of each whitewashed teepee is a 1950’s vintage automobile. Did someone really arrive the previous night in that ’55 Buick Century? Are they inside their teepee, planning to spend another night? As the afternoon wore on, no one entered or exited their teepee to tell me their story, so I made up my own. Years ago, I found a traffic cone in Henderson Nevada. Originally stenciled with the words “SW Gas”, it stood abandoned in a strip mall parking lot. Thinking that I might later need a traffic cone to protect my travel trailer, I named him “Coney” and he has traveled with me ever since. Those who have studied the Pre-Puebloan Indians of the Four Corners region know about the mythical flute player we call Kokopelli. The Ancients chipped images of Kokopelli on to stone canyon walls throughout the region. Some hypothesize that Kokopelli represented the real flute-playing minstrels who wandered from one ancient camp to another. The playing of his flute upon approach to an unknown encampment signaled that he was peaceful and perhaps bore news from elsewhere along the trail. Soon after Coney joined me in my travels, I received a stuffed Kokopelli doll as a gift. Now, whenever I travel in the High Southwest, a smaller version of Coney and my stuffed Kokopelli travel with me in the cab of my truck. When traveling alone for days on end, it is tempting to start up conversations with myself, but I prefer to talk with Coney and Kokopelli. Although they rarely answer my questions, when they do, their advice varies from sage to hilarious. As we approached the Wigwam Motel, they both wanted to get out of the truck and stretch their legs. Well, actually, only Kokopelli has legs, but Coney stood up for himself and demanded time in the fresh air, as well. As we toured the ersatz Indian Village, they wanted to pose with all of the rolling stock that lay around the yard. 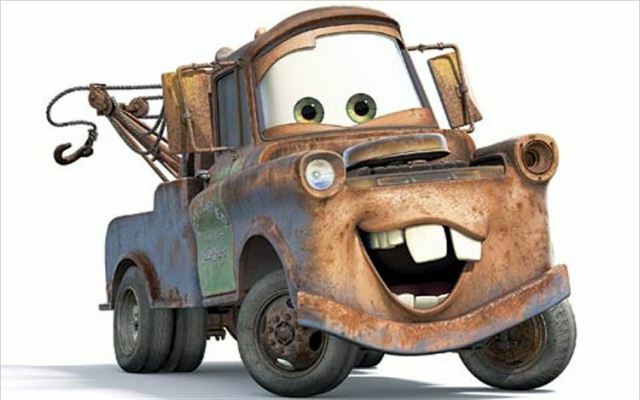 “Hey, that tow truck looks like Mater from the movie, Cars”, Coney said. Indeed, I could see the resemblance. Soon, Kokopelli was leaning back against Coney and pretending to drive an old orange Ford V8 dump truck. After posing with several of the vehicles, Coney and Kokopelli were ready to move on. Just then, however, a Santa Fe Railroad locomotive sped along the tracks behind the motel. The sun was low in the afternoon sky as we contemplated the loop road at Petrified Forest National Park. After that, we would stop for fuel in Gallup New Mexico. Our final destination that night was Chaco Canyon, New Mexico. “Come on, guys. Let’s go”, I said as we all jumped into the truck. Off we went down West Hopi Drive, also known in the legends of travel as Old-66.